According to a statement issued by the World Health Organization (WHO) on Monday, HIV patients should begin treatment sooner than currently recommended. The new guidance issued advises doctors to begin giving patients AIDS medication a year or two earlier than usual. However, should all doctors take heed of this new advice, this would double the number of individuals globally who qualify for treatment, adding an incremental 3-5 million patients to the staggering 5 million already awaiting AIDS treatment. Specifically, the guidance advises doctors to begin treatment when the level of their patients' CD4 cells reaches 350. Previously, the recommendation was to begin treatment when the CD4 level reached 200. But several studies have shown that when patients began treatment earlier, they had a much better chance of surviving. In fact, doctors in most Western countries begin treatment when their patients' CD4 cell level reaches 500. ......there is compelling evidence HIV patients should start treatment sooner. 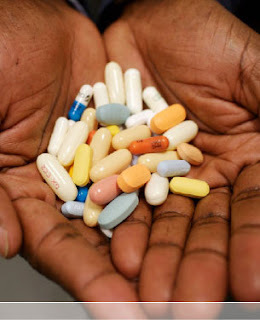 People with HIV who aren't on AIDS drugs are more likely to catch a potentially fatal disease like tuberculosis or develop other complications when they do start the drugs. However, there are some reservations about this new guidance. One of the main questions centers on how countries will be able to cover the costs for this extended treatment. Currently 4 million people are receiving AIDS medication worldwide, and as mentioned previously, there are another 5 million patients waiting in line, and this new guidance could tack on another 3-5 million patients to the waiting list. In fact, many AIDS programs in Africa are already stretched thin, and Africa is home to most of the world's HIV+ patients. Mr. Ross also added that there were reports of African clinics turning away new patients eligible for treatment due to a lack of available drugs. Another drawback to this guidance is that putting HIV patients on medication for a longer period of time may also lead to drug resistance in the immune system.